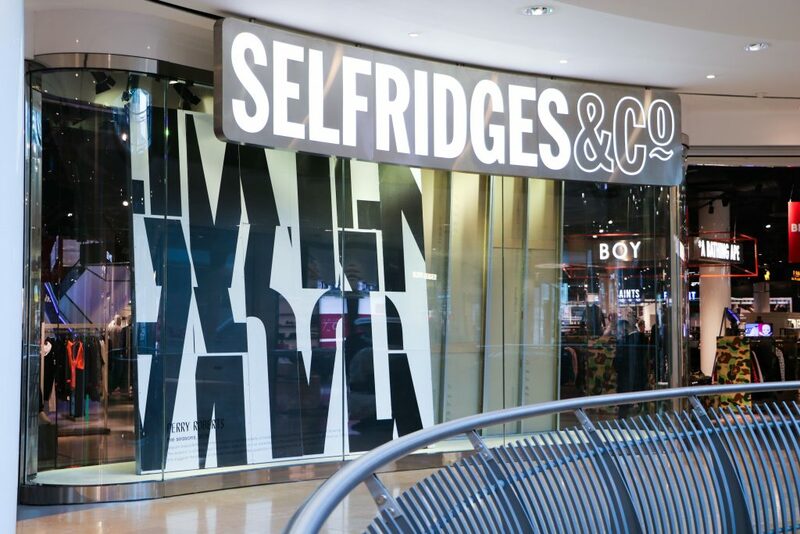 Selfridges has joined forces with the renowned independent Ikon Gallery to bring thought-provoking art to the iconic Birmingham department store. State of the Arts at Selfridges Birmingham until 30th March, extends the store’s commitment to exploring the power of art in unexpected places and features a stunning, specially commissioned piece by Perry Roberts, a Belgian-based British artist, as well as an art trail of works by other critically acclaimed and award-winning artists. 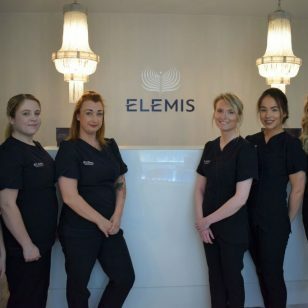 We love to make our customers think and this arts campaign will explore how can art enhance a community and where the lines are between fashion and art. Perry Roberts, who works in a variety of media such as painting, furniture and wall drawings, has created The seasons – a text-based 360० installation that can be viewed at the front entrances on levels 2 and 3. The panels reflect on our experience of the seasons – fragmented and mixed up, suggesting the effects of climate change and raising questions about the nature of fashion. 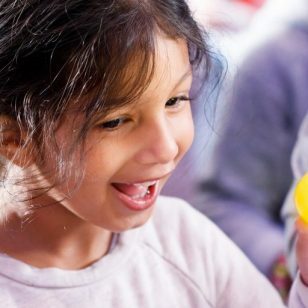 Level 4 features three amazing pieces of art, including a limited edition A Real Birmingham Family sculpture by Turner Prize winning artist Gillian Wearing – one of the only places in the city where it can be seen. The original £150,000 statue, commissioned by Ikon, features Birmingham sisters Roma and Emma Jones and their children. It was installed in Centenary Square in 2014 but was removed three years later for £10m transformation works to take place. Cast in bronze, the limited edition of 20 sculptures are priced at £7,200 each. Alongside is Still Life Jug by Richard Wilson – a handmade ceramic jug, depicted in motion, echoing unknown time through a shift in position. A limited edition of 50 has been produced, priced £3,000. Level 4 also features Carmen Miranda – an art-reflecting-fashion piece by Joana Vasconcelos, which depicts a giant shoe made out of stainless steel pans. 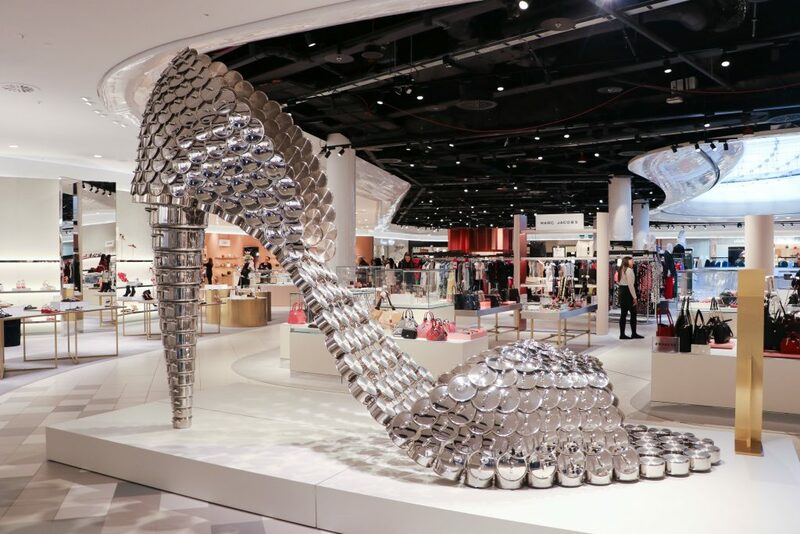 This eye-catching sculpture, is located in Shoe Galleries, the store’s largest shoe department outside of London with more than 1,700 styles from nearly 50 designers across over 15,000 sq ft of floor space. The final installation is the disco-ball inspired shoe, which is located by Gucci and the recently launched luxury personal shopping suite. The supersized mirrored shoe is encased in a large wooden transport box and showcases the art in an unexpected place. The installations will be complemented by a series of drop-in art workshops for children and activities. More information can be found here. Learn the basics of casting with Jesmonite and create your own terrazzo tile with bespoke surface designer Olivia Aspinall. During the workshop you will design your colour palette, learn how to mix and add pigment to Jesmonite, cast into a silicone mould and finally sand and finish your tile. Join Ikon’s Family Team as we cut, collage and print our way through the day. Inspired by the text works of Perry Roberts, families will be invited to use a variety of materials and techniques to experiment with typography, colours and composition.